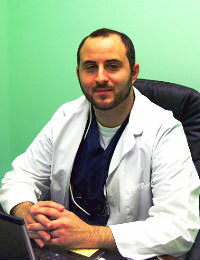 Dr. Tarek Safadi was raised in Valparaiso, Indiana and is a graduate of Valparaiso High School. Dr. Safadi completed his undergraduate at Loyola University of Chicago, followed by completion of dental school at University of Illinois College of Dentistry. Dr. Safadi is a member of the American Dental Association, Indiana Dental Association, Chicago Dental Society and the Academy of General Dentistry.